Villagers in Doo Tha Htoo District Karen State are demanding to be paid full compensation for their lands they allege were illegally taken by one of Burma’s largest companies. Residents of Shwe Yaung Pya village and surrounding villages in Thaton Township have made it clear that they want to get paid full compensation for 5,000 acres of land near Shwe Yaung Pya village that villagers claim was confiscated by Max Myanmar Company in 2004. Local sources in the area alleged that under the former military government, the Max Myanmar Company, owned by U Zaw Zaw confiscated farm land owned by villagers from Shwe Yaung Pya, La Oh Kae (Wingyi), Kya Ta Raw (Zeewon) and Klaw Keh (K’lout Inn). Naw Mu Dah, a villager from Zeewon spoke to Karen News that with the changing political situation and the change of government, villagers now want to be paid compensation for the loss of their land. Naw Mu Dah said that villagers face hardship without land and are having to rely on being employed as laborers for the rubber plantation that is growing on their confiscated land. Speaking to Karen News, Naw Mu Dah said. 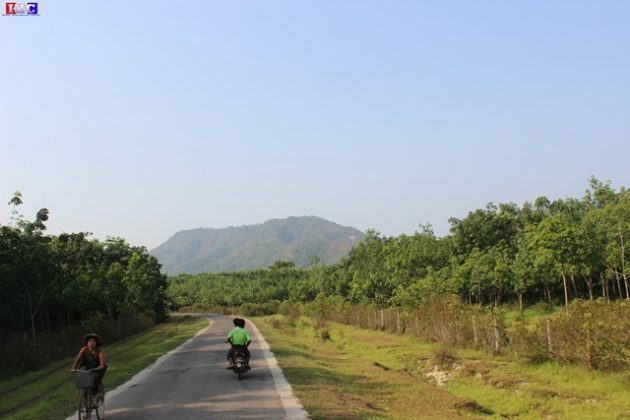 Villagers claim that when Max Myanmar Company confiscated agricultural land in the area for their rubber plantations, locals were given 20,000kyat [$20] an acre as compensation. Then in 2014 and 2015, when villagers asked for 500,000 kyat an acre compensation, the company paid 200,000 kyat [$200] an acre. Villagers claim they were reluctant to complain about the low compensation they got from the company as the company has strong links to military officials and that the company promised to build roads, bridges and schools for the region. Saw Aung Moe Tun, the head of Shwe Yaung Pya village said that the company boss, U Zaw Zaw, promised to develop the infrastructure for the community, but up to now there has only been a few primary schools built for the community. Speaking to Karen News Saw Aung Moe Tun said. Padoh Saw Thein Min, the chairman of the KNU Thaton district office said that many businesses had caused similar problems in the community and that local villagers did not understand all the laws and policies about land. There are more than 90 households affected by the alleged land confiscation by the Max Myanmar Company. The Karen Human Rights Group has documented the case and have said that although some villagers received compensation, there are still some who have not received any compensation at all.